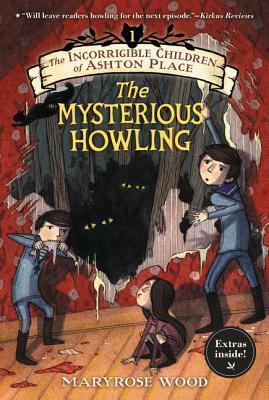 The first book in the Incorrigible Children of Ashton Place—the acclaimed and hilarious Victorian mystery series by Maryrose Wood, perfect for fans of Lemony Snicket and Trenton Lee Stewart—has a brand-new look. Discovered in the forest of Ashton Place, the Incorrigibles are no ordinary children. Luckily, Miss Penelope Lumley is no ordinary governess. A recent graduate of the Swanburne Academy for Poor Bright Females, Penelope embraces the challenge of her new position. Though she is eager to instruct the children in Latin verbs and the proper use of globes, first she must eliminate their canine tendencies. But mysteries abound at Ashton Place: Who are these three wild creatures? Why does Old Timothy, the coachman, lurk around every corner? Will Penelope be able to civilize the Incorrigibles in time for Lady Constance's holiday ball? And what on earth is a schottische? It’s the best beginning since The Bad Beginning (1999) [by Lemony Snicket] and will leave readers howling for the next episode. With a Snicketesque affect, Wood’s narrative propels the drama…pervasive humor and unanswered questions should have readers begging for more. Jane Eyre meets Lemony Snicket in this smart, surprising satire. Humorous antics and a climactic cliff-hanger ending will keep children turning pages and clamoring for the next volume, while more sophisticated readers will take away much more. Frequent plate-sized illustrations add wit and period flair. Every newspaper and website in America is going to tell you that The Mysterious Howling will leave you HOWLING FOR MORE! So I’m not going to say that. But it’s really good.